Days of camping with our parents are forever ingrained in our minds, as well as a few arguments with our siblings. What we always found ourselves cooking over-and-over again is damper and boiling tea from the Billy Can. We cook the damper the old fashioned way - on a stick, it’s lots of fun. 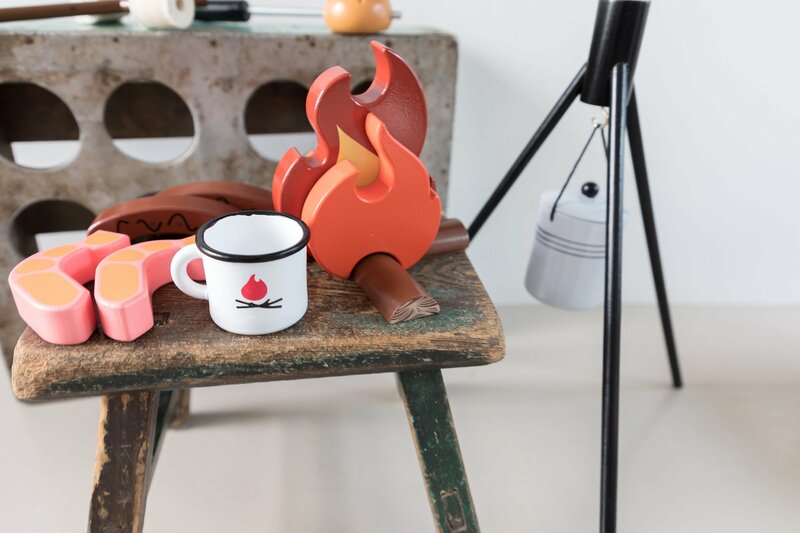 Our Aussie Camp Fire set lets you recreate these great outdoor memories - in the comfort of your own home if you don't feel like getting your fingers dirty or sleeping bags wet. 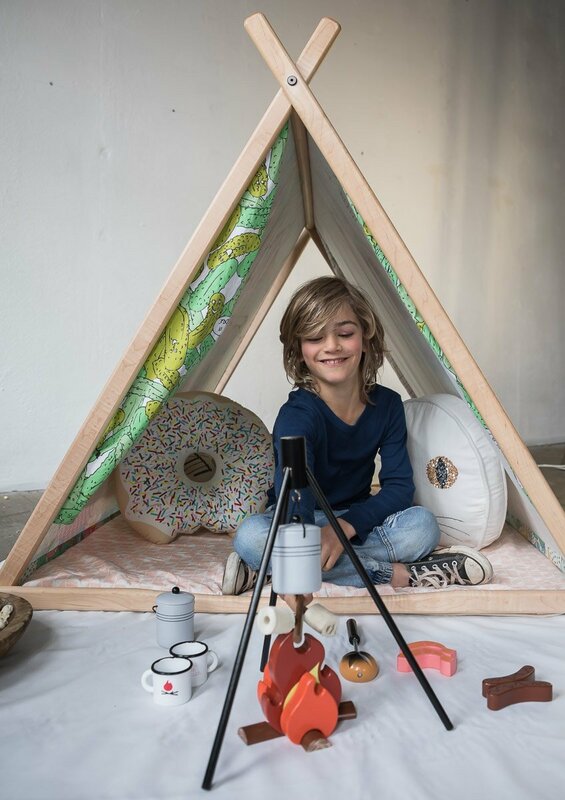 And so perfectly-on-point in front of your little ones' indoor tent. 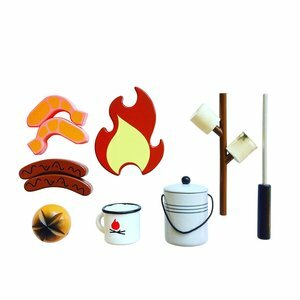 We love to have pretend fun around a campfire and this camping set has all of the perfect accessories to make these memories! Our Aussie Camp Fire comes complete with tripod to hold the Billy Can and sits flawlessly above the flames & logs. Roast some felt marshmallows using your camp fire stick or try cooking a prawn and sausage. She'll be right mate and pass me a cuppa. 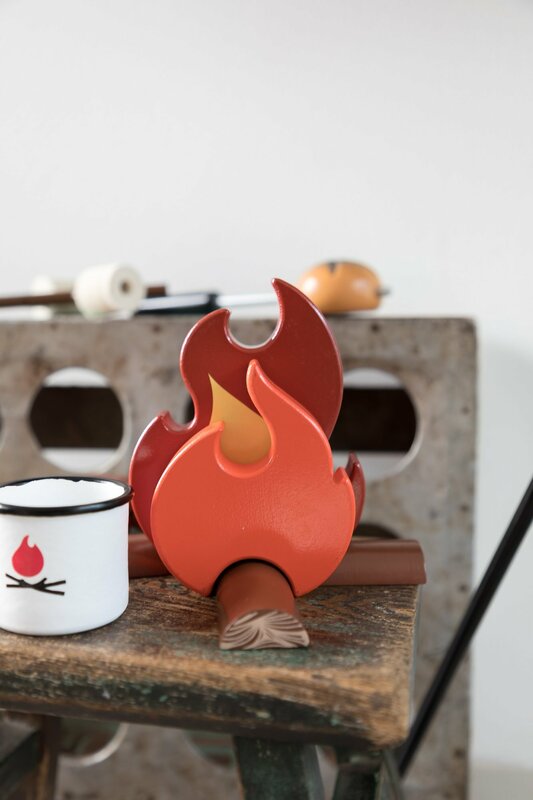 This is our impression of the Aussie Camp Fire with all the nostalgia you would expect and love from a classic wooden toy. So let them open their minds to a good old fashioned Aussie camp fire. Complete with 1 Camp Fire (with 3 Red Flames and Timber Base), Cooking Stick, Damper, 2 x Prawns, 2 x Sausages, Branch-shaped Marshmallow Stick, 2 x Marshmallows, Tea-Cup, Tripod (with detachable legs) and a Billy Can for pretend play. 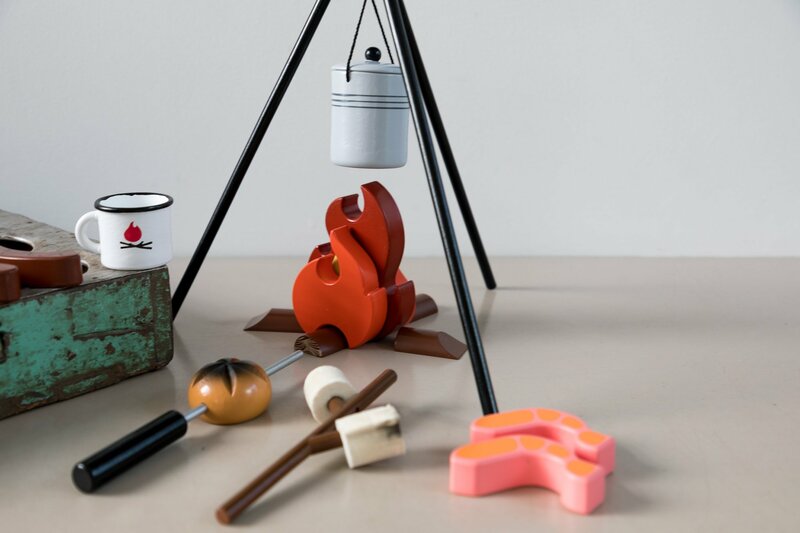 Designed to comply with Australian toy standards and made with non toxic paints.